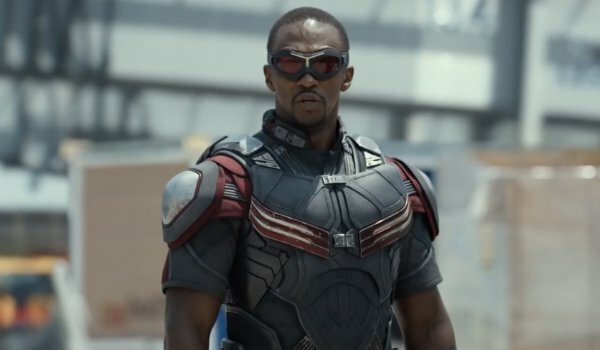 Anthony Mackie is excited for Falcon to become his own person. In Captain America: The Winter Soldier and Avengers: Age of Ultron, Sam Wilson’s interactions have been largely limited to Steve Rogers (Chris Evans) and Natasha Romanoff (Scarlett Johansson), but Civil War lets him spread his wings, so to speak. "I get to continue my undying love affair with Black Widow, which is good," Mackie tells CinemaBlend. "I think, more so in this one, that I get to do that I haven’t done before is become my own person." Part of that, as it turns out, is getting to think Tony Stark is a total nerd. I don’t know why everybody thinks Tony is cool. Tony thinks he’s really cool, but Falcon just thinks he’s a nerd. And not like a cool millennium nerd. Like, nowadays you see a nerd and it’s like hot chicks. Like, I’m a nerd and you’re like, 'What’s up?' right. I’m talking about like a 1985 nerd. Nah, you don’t win. Nah. This’ll serve Falcon well when he joins up with Team Captain America, as if he ever left. But before he does, the actor says he and the rest of the team has been "Tony Stark-erized," meaning they’ve all had some "major upgrades" to their costumes. Hawkeye (Jeremy Renner) has his seemingly "indispensable arrows that come out of nowhere and rejuvenate out of his back," while Scarlet Witch (Elizabeth Olsen) has what Mackie calls her "angry rave thing going on." But what about Falcon? Might we see some upgrades, like the long rumored Redwing? If so, Mackie isn’t telling, though pieces of concept art released seem to confirm its drone-like presence. No wonder he thinks Iron Man is a dork. Directed by Joe and Anthony Russo, Captain America: Civil War sees the introduction of the Sokovia Accords, which seek to impose harsher restrictions on superhuman activity and a system of accountability on the Avengers. While Tony is in support of the action, Steve is vehemently against it. As Bucky Barnes reemerges from the shadows, the conflict splits the Avengers in two. On Team Cap is Falcon, Hawkeye, Scarlet Witch, Ant-Man (Paul Rudd), and The Winter Soldier (Sebastian Stan), while Team Iron Man includes Black Widow, Vision (Paul Bettany), War Machine (Don Cheadle), and new hero on the scene, Black Panther (Chadwick Boseman). Also featured in the cast are Martin Freeman as Everett Ross, William Hurt as General Thaddeus "Thunderbolt" Ross, Daniel Bruhl as Baron Zemo, and Tom Holland as Spider-Man.